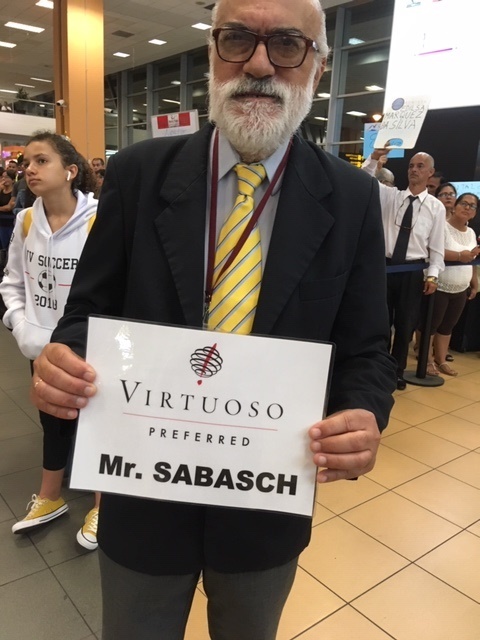 I was thrilled to be accepted on a FAM trip for Virtuoso advisors hosted by Abercrombie & Kent Peru. I travelled 27 Feb - 9 March 2019. I flew from Vancouver to LAX on AA and then Business class to Lima on LATAM. This flight was almost 9 hours so it was great to have the flat bed! The plane used was an older 767 but the comfort and space was great. 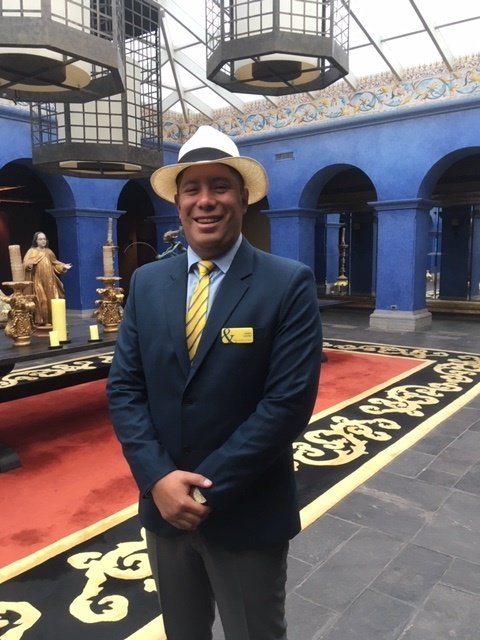 Upon arrival into Lima I was met by Victor and escorted to my hotel. The transfer was supplied by A&K and at that time of night (midnight) the traffic was light by Lima standards so I got to the Country Club hotel quickly. 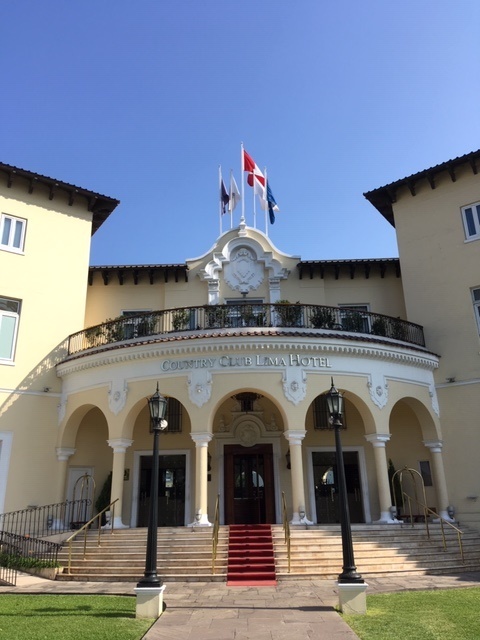 This hotel is part of the Virtuoso program and is a historic hotel located in the prestigious San Isidro area of Lima. It is a high end residential area and is lovely, but it is very quiet with not much going on in the area. The hotel is very nice and my room was large and comfortable. This hotel is also part of the Leading Hotels of the World program. The hotel was charming and had lots of character. On my first morning I relaxed and had a swim in the hotel pool. That afternoon I had booked a cycling tour that also included some food tastings. 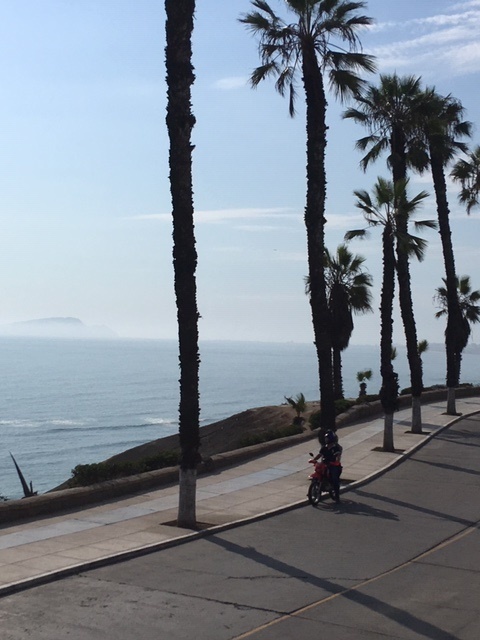 We had Ceviche at a local market and spent a couple hours cycling the scenic coast and the Miraflores area. This area is great as it’s busy with lots of people, shops and restaurants. It reminded me of the west end in Vancouver. It’s a great area to spend time in and it’s safe and clean. The next day we were taken on a city tour and a visit to the Larco Museum. We had lunch at the museum in their beautiful patio restaurant which was fantastic. The Larco is a private museum that showcases pre-Columbian art and is in a beautiful 18th century mansion. It is worth seeing and a great stop for lunch. The old historic area of Lima is really beautiful with amazing colonial architecture and lots of sights to see. 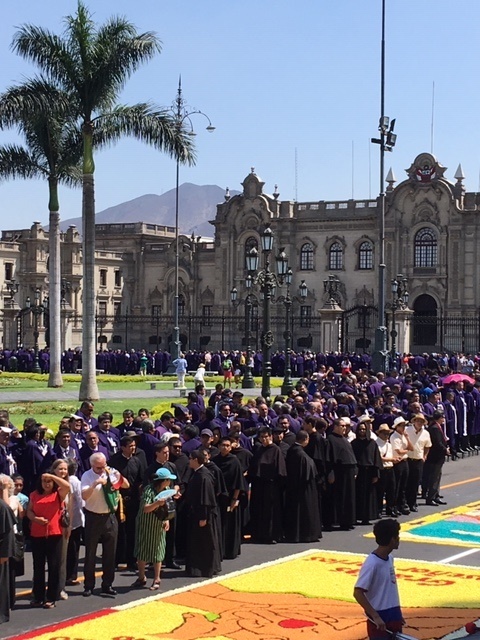 When we were there we say an amazing religious procession and celebration that was very colourful and interesting. We did a hotel inspection of this modern hotel overlooking the coastline and a large modern shopping mall. This hotel is a great location for people on vacation. The rooms and lobby areas were very nice and all faced the ocean. It would be a great choice for families too. We did an inspection here and also had a really nice dinner in their great restaurant. The hotel is somewhat modern and is right across the street from the cliffs of the coastline. It has a beautiful outdoor rooftop pool that has amazing views. This hotel is part of the Virtuoso program so can access the wonderful amenities for our clients. The Belmond is in a great location! We flew LATAM from Lima to Cuszco which was very cool and scenic as the airport is in the middle of the city which is unique. We were taken to a restaurant on the main square which was busy due to carnival time. 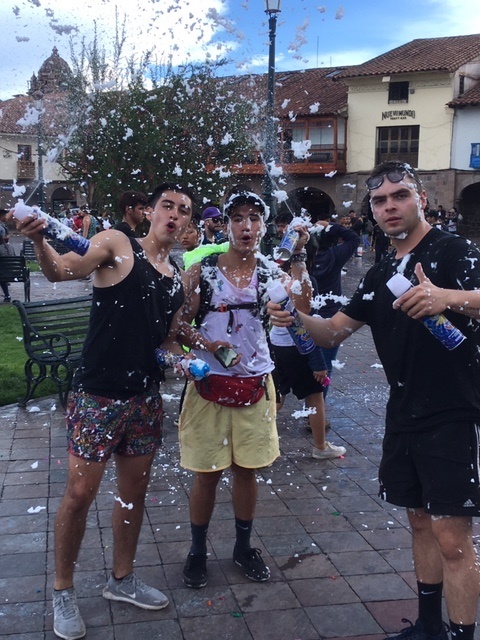 The tradition is to throw water or foam onto others so the square was alive with kids and teens having a free for all. It was a unique experience to see this firsthand and be in the middle of the action! 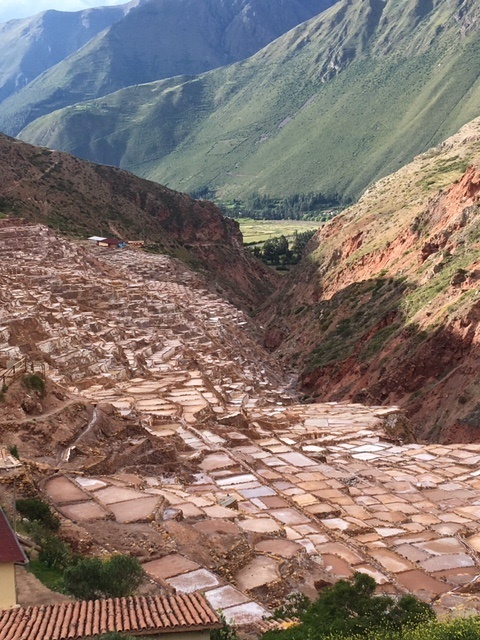 We were then taken on a bus ride up over the mountain range to the gorgeous Sacred Valley where we did a couple of site inspections and then went to our hotel, the Tambo Del Inka for 2 nights. This is a very modern hotel in a beautiful location and they offer an all inclusive concept for guests.The rates include accommodations, transfers, meals and beverages along with many activities so it can be good value. Explora hotels are very good for active clients and families. They will sit down with you every night and plan the activities for the next day. It really is a great resort and part of Virtuoso. This is a very nice 5 star resort in a fantastic location…such great views and rooms. We had a lovely dinner there and also did a site…it’s a beautiful Virtuoso property. We stayed at this hotel for 2 nights and it was a fantastic property nestled along the Urubama river. and the hotel itself is stunning…so immersed in nature. The pool is an indoor/outdoor experience that is amazing. This hotel is also part of the Virtuoso program. It was a very nice place to stay for 2 nights. The next day we went on an excursion arranged by A&K to meet with the local Quechua highlanders which was quite the experience. They showed us their local traditions such as cooking and rug weaving. They also sang and got us dancing so it was a real treat.We then went to an ancient archaeological site of Moray and to the salt flats of Maras which were both amazing. 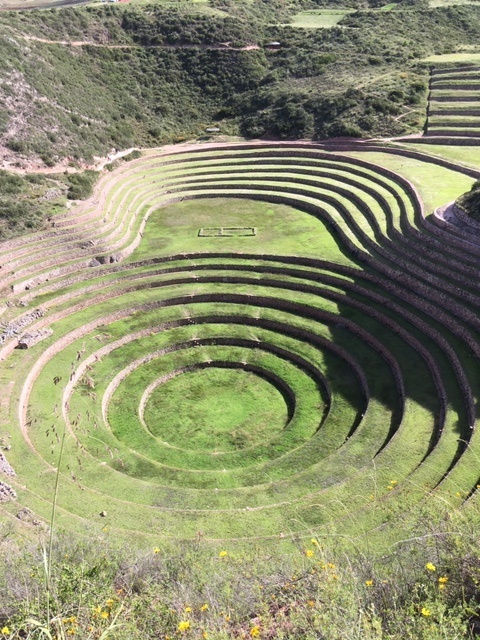 Moray is at a very high altitude but overall I didn’t experience too much discomfort from the high altitude…mainly I was just out of breath at times. This Belmond hotel is a smaller property located on the banks for the river which gives it a nice ambience. It is part of Virtuoso and I have booked clients here before. This property is unique and modern quirky…lots of folk art around the hotel. We had a really great dinner here…one of the best of the trip. It also is Virtuoso and is a good option for clients. The next day we transferred to the train station at Ollantaytambo which is a great little town. We did a walking tour or the town and also saw the historic fortress of Ollantaytambo which was really interesting and majestic. 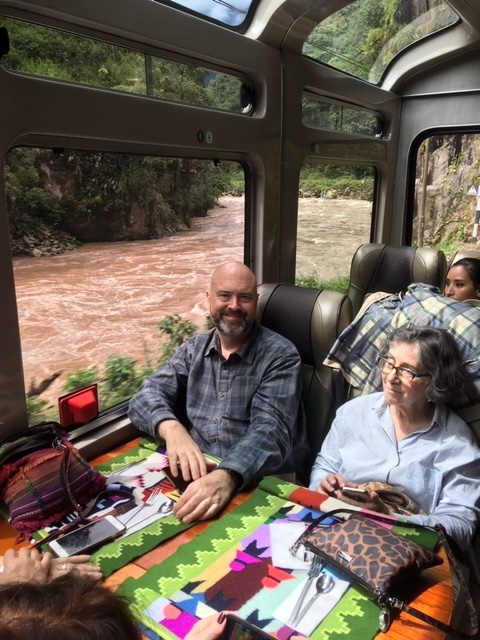 We then took the Sacred Valley train up to Machu Picchu which was really lovely. 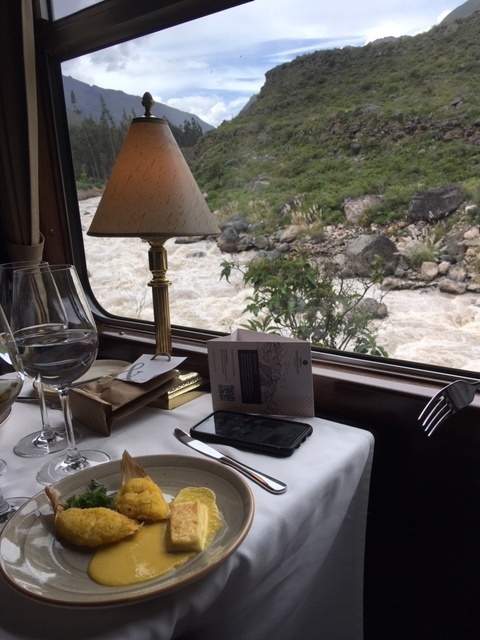 The seating is very upscale dining and we had a great meal as we chugged along the river …it was very scenic and this train option is quite high end. 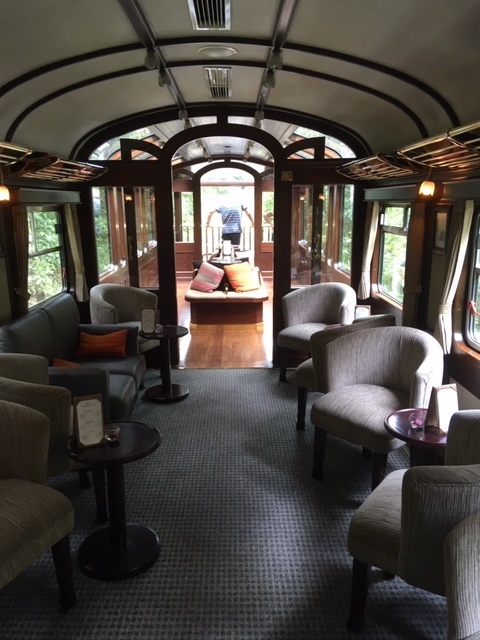 They had a lovely bar car and an outside observation deck at the back which provided a fantastic experience as you winded your way up the valley. And we enjoyed a lovely meal with a view. 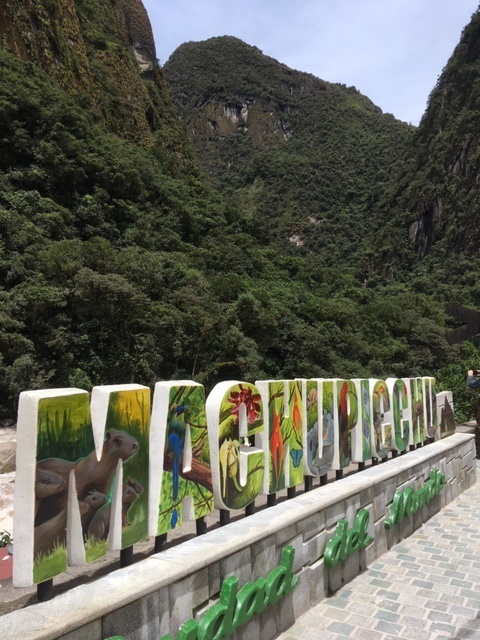 Once we arrived into the town of Aguas Caliente we then took the bus up to the Machu Picchu site which is also quite the experience…lots of switchbacks!. We then toured the Belmond Sacred Sanctuary Lodge hotel and then walked up to the Citadel viewing point which was breathtaking. It was raining a bit when we walked up there and then after about 15 minutes it stopped and was dry for the rest of our tour with some sun. This site really is spectacular and is a sight to behold. We had a tour guide that took us around the site for about 3 hours and showed us everything there was to see and explained the history of the site to us. Note that we got there around 2pm and were the last ones off the mountain which worked well as it was not too busy with tourists. I would suggest this time to view the site as most of the tourists are off the mountain by then. 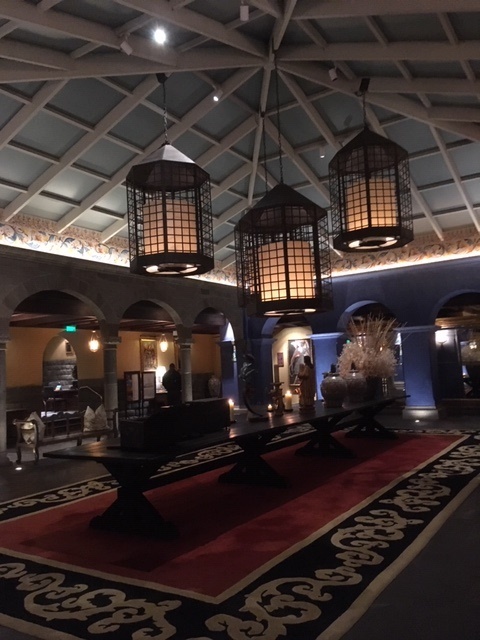 We then returned back down the mountain and spent the night at the Inkaterra Machu Picchu hotel with a lovely dinner included. 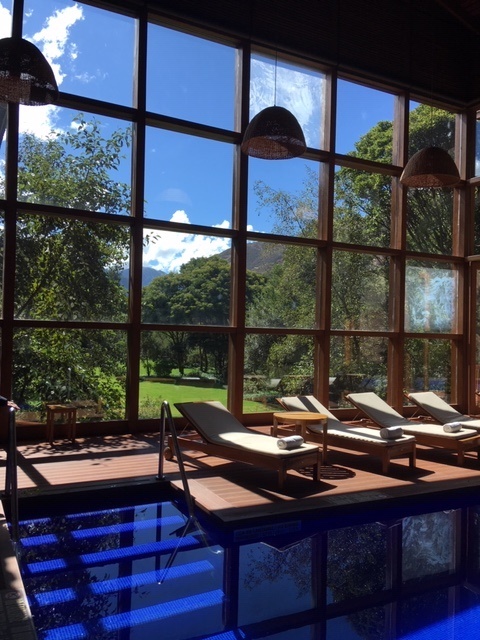 For clients whom want to be first people stepping foot on Machu Picchu then this hotel is the one! The rooms and resort are smaller due to it’s unique location on the top of the mountain. The hotel operates on an all inclusive basis. This hotel is a Virtuoso property. This hotel is located in the town amongst the jungle and is a great option. 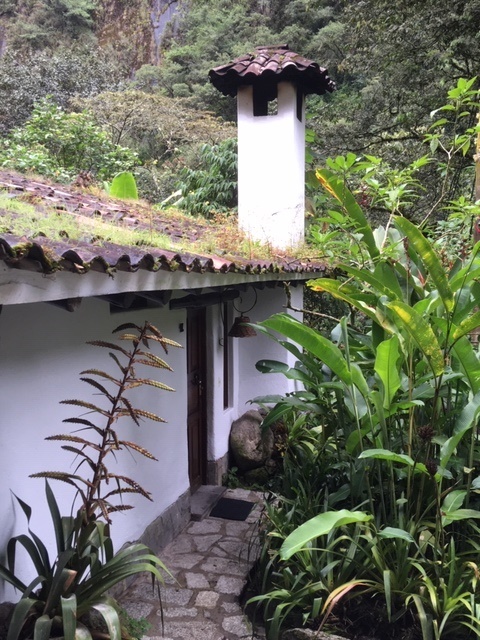 It really has a mountain tropical Peruvian feel and the accommodations are nice and a bit rustic…lots of character.We ate at the restaurant here overlooking the river and it was excellent. I wouldn’t recommend this hotel for older clients as you have to navigate steps and uneven pavement due to stones etc.Virtuoso affiliated. This is a hotel in town located across the street from the river with great views. The hotel is very modern and has a nice feel to it. It really is lovey option as the rooms are really nice and it’s easy to navigate. I really liked this hotel and It’s also of course…Virtuoso! If you like to be able to experience a variety of dining options and wander around the local towns then i would suggest staying down in the town. 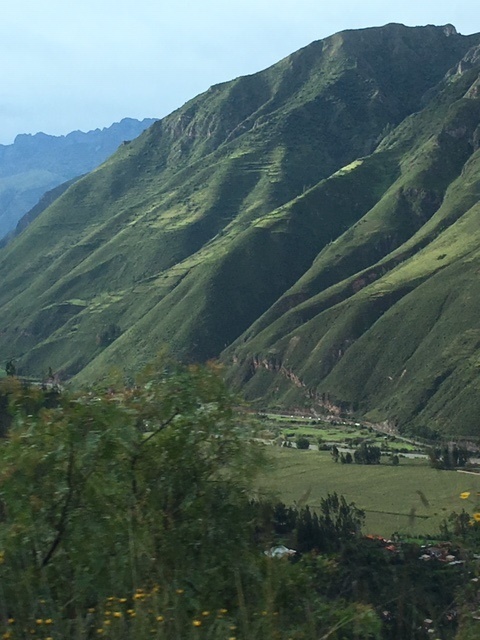 The next morning we then took the Vista dome train back to Ollantaytambo and were then transferred to Cuzco for the last 2 nights. The Vista dome is great….large viewing wrap around windows and very comfortable seats. The staff even put on a fashion show and some characters provided entertainment on the journey which made it fun. 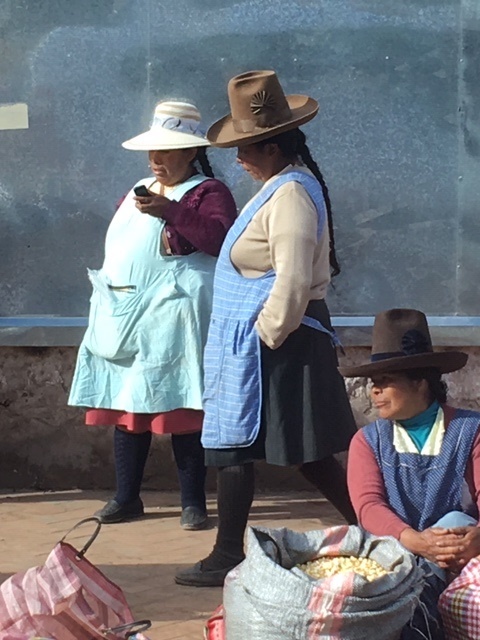 The Peruvian scarfs, hats and sweaters were quite beautiful and are worth purchasing, but I bought some pieces in Cuzco as there are lots more shopping options there. 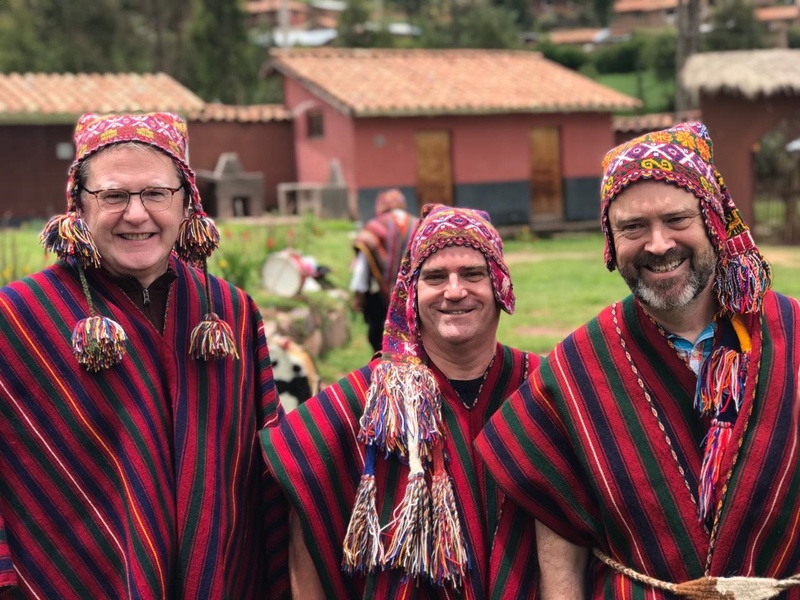 Upon arrival into Cuzco we were taken to our hotel the Palacio Del Inka and then out for dinner to a great casual restaurant called Baco…it is worth suggesting to clients. I also recommend a a restaurant called MAP that we went to. The next morning we were taken on a city tour to see the sites of this beautiful city set up in the mountains of the Andes. The ruins of Sacsayhuaman are also interesting to see and are located on the outskirts of the city. 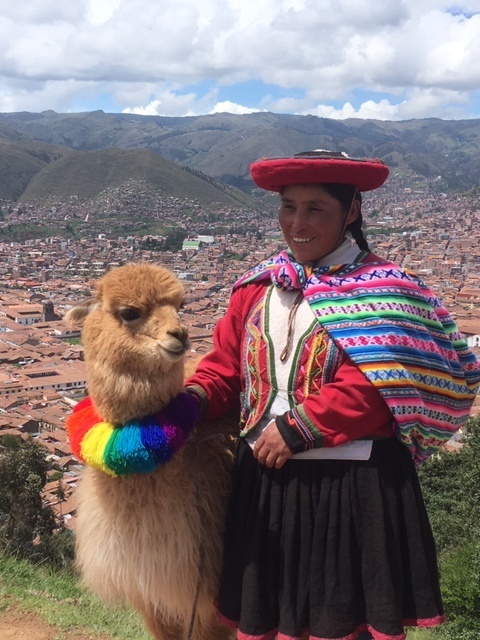 We then spent our last night in Cuzco and the next morning we had at leisure before we transferred back to the Cuzco airport for our flight to Lima where we ended the trip. We stayed in this is a historic mansion where Spanish conquistadors once made their homes so it has tons of history and character. I enjoyed the suites we were given. The hotel is in a great central location and I would suggest this property to clients. 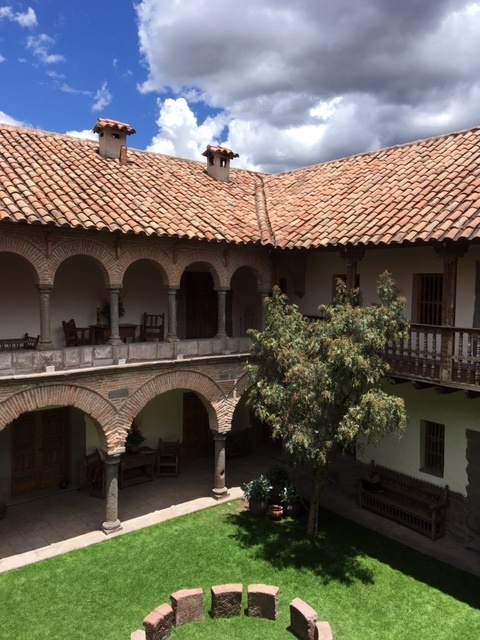 This is a lovely 16th century manor house is so amazing with its beautiful courtyard ..it only has 11 suites and is a very special place for clients going to Cuzco. I loved this hotel. These historic hotels are simply amazing and will provide a great experience for your stay! They both have gorgeous courtyards and rooms. They are both Virtuoso properties. This property is a restored 16th century convent that was gorgeous…the rooms and interiors are very modern so it’s a nice blend of old and new. I would not suggest the rooms that are located on the lower floors as they face the ancient wall but you have no views and are claustrophobic. All of the hotels we saw in Cuzco were amazing and are great options. 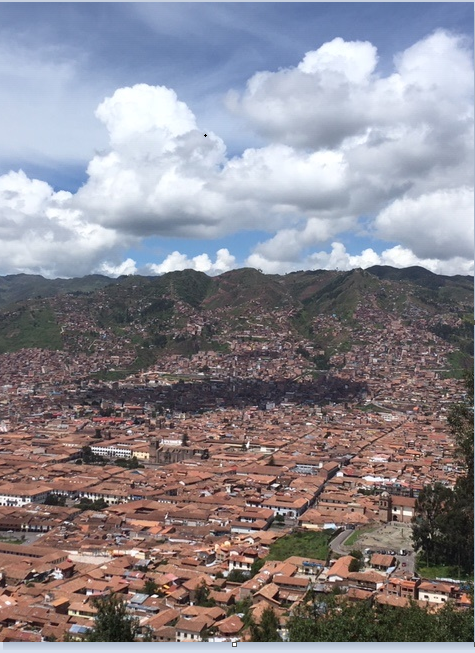 Cuzco is a special city and I could have spent a few nights exploring it. The shopping is great and there are numerous good dining options as it is a larger city. The colonial architecture is so cool and walking around the city is great! After our last day with some free time and hotel touring we then flew back to Lima and then we were done the trip. Most people then flew overnight back to North America (all the other agents were from the USA) but I spent the night at the at the Wyndham hotel right at Lima airport. It is a decent option and you can walk from the hotel right to the terminal which is great. I preferred day time flights vs. overnight flights so the connection via Mexico City worked out well. The next morning I flew from Lima to Mexico City on LAN and then Aero Mexico to Vancouver in economy class. Transferring via Mexico City was somewhat unpleasant…endless corridors and then taking the train between terminals. Good thing I had almost 4 hours to do the connection so I definitely suggest allowing fdor extra time. Immigration upon arrival into Mexico City was very long too. It is so worthwhile to invest in a private guide to get a true understanding of the destination. Our A&K guide Daniel was wonderful and really made the trip! 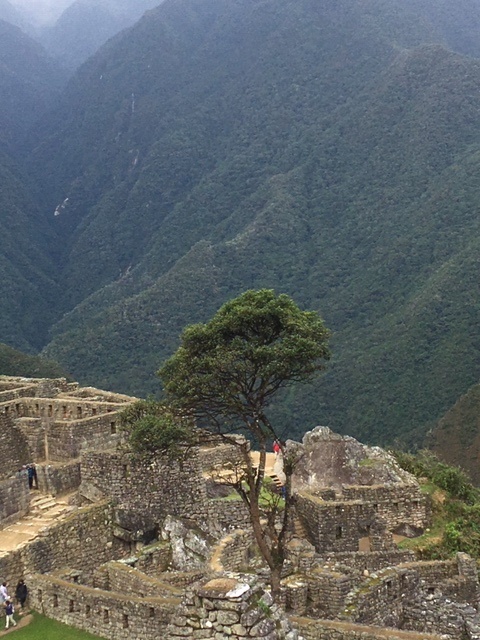 Peru is a terrific destination to visit as it safe, somewhat clean and tourism is a major industry in the country! I am so glad I went and would highly recommend a vacation to this destination! 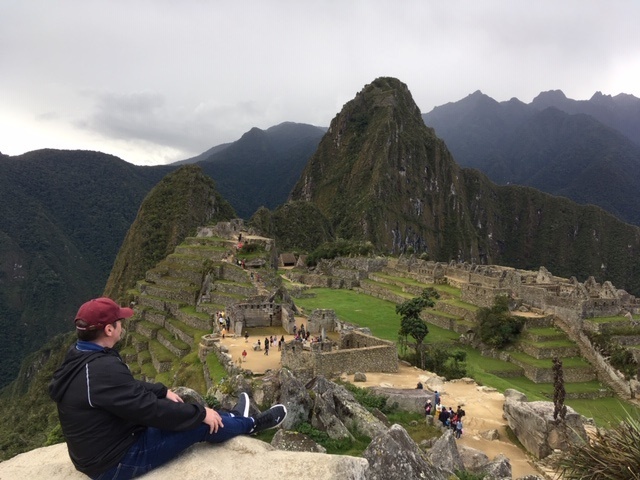 If you are interested in planning a trip to Peru I would love to hear from you! Please click on the "contact us" button. Sand Duning in Huacachina, Peru!